It's like a journey of life discovery recently. At first I took a step back and saw that I've been very unkind to myself. Now, I realize how gaudy I've been. I've been buying things I don't need (with the money I have =X) to impress people I don't like. Just because I don't want to be looked down on. Why do I need to spend my money on people who I don't like in the first place? I try too hard to impress others in speech and practice, and thus I do what others do so that I can blend in. Suffering from boycott has taken its toll on me and I don't want to go down that road again. In the blogger group, everyone is (supposedly) active in all (popular) social media platforms. Everyone (especially girls) showed everything they did and said and ate and bought and laughed at. But then when I took a step back, now it all seems gaudy to me. Why do you need to tell the world everything you're doing? Does everyone really want to know what you bought or ate or barfed? Well not really. Do you have to constantly mention how lucky you are for getting something from someone? I think the ease of access to the internet nowadays + social media has made people into gaudy, superficial beings. Think about it. We're so connected to our social media accounts that we express our thankfulness on the internet, which is very unnecessary. Why would people want to know if your boyfriend just gave you a Porche for your 18th birthday? Who cares if you bought a new Gucci dress with your parents' money? Why would people want to know if you're going for a trip to the South Pole? Why would people want to see that you've drank your 109 cup of Caramel Frap from Starbucks for the month of December? Why would people want to know if you're going to sleep? People don't need to know. Other than your stalkers, people don't want to know either. So why do we still post these useless stuff on the internet? Ironically, the social media has made people feel left out because here you're browsing through your friends' vacation pictures in your cubicle in the office; or sitting at home eating instant noodles because you didn't have plans, but your friends just checked-in at some shop near your house for lunch and they didn't even remember to call you up. I salute the people who have not been taken over by social media. They can leave freely on stealth mode. No one knows what they're doing unless they take the time to ask. As I said, it's ironic because only when you're off social media will you really know who cares and who don't, because they remember you even when you're not being gaudy and force feeding your joy and sadness, your gain and your loss. I try really hard to stop posting everything I do, and now I only have Instagram left which I update more frequently. Ok so I tweet quite often too, but well, I "escaped" posting stuff on Facebook unless I have to tag someone which I can only reach through Facebook. Which is what social media is actually for in the first place, right? p.s. 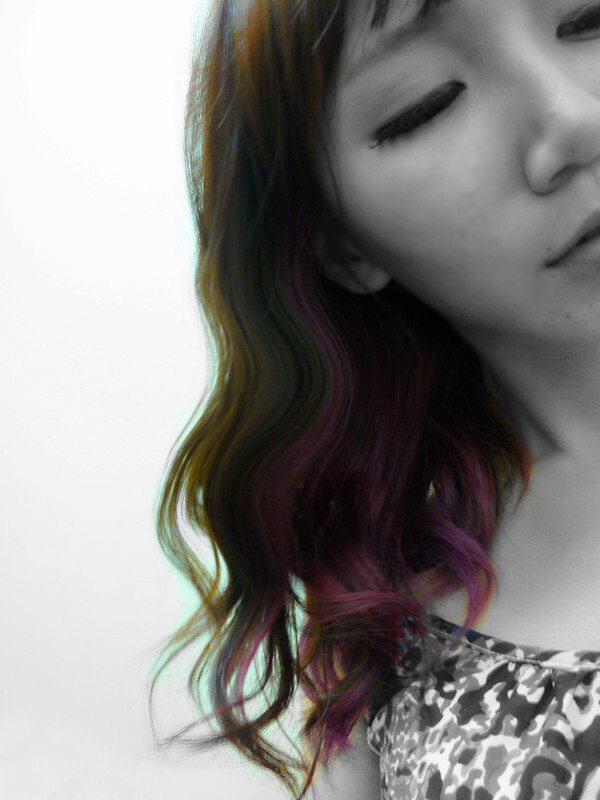 I have new hair colour. YAY!! Charmaine: I'd rather not fool myself. =/ At least I know who really cares rather than having ppl secretly think "why the heck does this girl post everything on the internet?" Well a lot of them take pictures that shows cleavage. It's like a tease I guess. "Guess what comes after that". I'm only active in FB though I have instagram and twitter account. Eh, nice hair color there!